I’m not sure what point FedEx is trying to make here, but it seems like they are making fun of social media consultants. You can’t take someone out of college who over shares on Facebook and expect them to be strategic about social media. If you are an avid reader, you have heard me say that social media is free, but the time and effort your put into it isn’t. What you don’t know about social media. Social Media is not a fad, and most people assume it is meant for younger generations, which is what FedEx is poking fun at in this ad. They also make a jab at social media contests that are facilitated that have nothing to do with the business. This is the easiest and best way to explain social media. Use it to build relationships, and when you have built a good one, that is when the money and return on investment will come. No one wants you to just post coupons or deals you are having. Post pictures, interesting stores, original content and funny anecdotes.В Don’t be afraid to give your brand humanВ qualities! I have only seen this ad on TV once, and at the time of this post it has 15,000 views on YouTube. Are they capitalizing on the trend that is social media, or are they making fun of the hard work that goes into social media marketing? 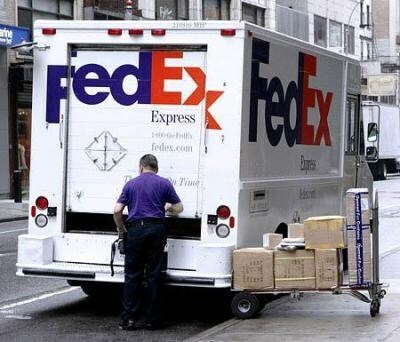 I would love to know your reaction to this video and if you think FedEx is just being funny, or hurting the work of the social media consultant and specialists?